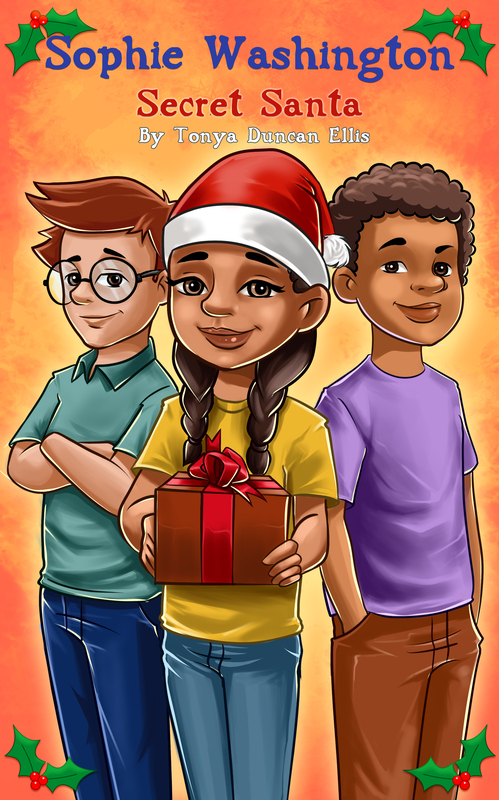 If your child enjoys books with strong female protagonists, a hint of mystery, and the joy of Christmas, then Sophie Washington: Secret Santa by Tonya Duncan Ellis will be a perfect gift. It’s a few weeks before Christmas and Sophie and her friends are busy as school is coming to a close before the break. When Sophie begins receiving presents from a secret Santa, she can only guess who it might be. Is it one of her friends or one of the boys she knows? The answer might surprise her. Though this is the seventh book in the Sophie Washington series, it’s the first one I’ve read. It’s a quick, fun chapter book with cute illustrations. As the reader gets to know Sophie and her friends, they eagerly turn the pages to see if they can figure out who Sophie’s secret Santa really is. Sophie is spunky and she has a love him/not so in love with him relationship with her younger brother that makes her even more relatable. In addition to the mysterious Santa, the book also addresses the topic of bullying. 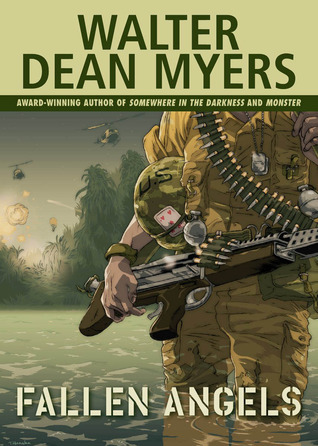 I don’t think we can have enough books that tackle this issue, and I like the author’s handling of it within this story. If you set a story at Christmas, you’ve already partially won my heart. Sophie Washington: Secret Santa also inspires me to check out the previous books in the series to follow more of Sophie’s adventures. “Be quiet, Cole!” I put my hands over my ears to muffle my brother’s out-of-tune singing and focus back on my laptop to finish my English essay. It’s less than three weeks until winter break and my teachers have been piling on the assignments to make sure we get our end of semester grades in. There sure is a big change between fifth and sixth grade, workwise, at Xavier Academy, the private school my brother and I go to. Between all the essays and projects and studying for final exams, I feel I can barely take time to pat my dog, Bertram, when I get home; whereas, my eight-year-old brother Cole acts like he’s already on vacation. The doorbell interrupts my thoughts. Of course, that logic doesn’t hold when it comes to who gets the first dessert or who doesn’t have to do the dishes at night. As the baby of the family and favored child, my little brother has got it made. I trudge to the front door in time to see the mail carrier heading back to his truck. He’s left a medium-sized box on the porch. Wonder what it is? Who could this be from? I never get any mail, except for birthday gifts my Granny Washington sends to our house in Houston from Corpus Christi when she can’t be here, and I don’t remember my parents ordering anything for us online. Granny is driving up to see us tomorrow, so I doubt she would mail presents here when she could just bring them with her. “Mom, I got a package!” I call out. “What is it?” Cole bounds from the family room to stare at the box as I set it on the kitchen counter. “Back off, Cole, it’s mine,” I move him to the side with my hip and take a closer look at the delivery. The box is wrapped in brown paper, and there is no return address. It looks difficult to open with my fingers, so I pull a butter knife out of a drawer in the kitchen and slit through the tape on the side. A sweet, sugary scent fills the air. “Cool!” exclaims Cole in appreciation as the brown wrapping slides off to reveal a box filled with packages of licorice, gummy bears, gum, and red and green M&Ms. I notice a typed note underneath. Hope your day is super sweet! Digital version available for only 99 cents! Tonya Duncan Ellis will be awarding $20 Amazon/BN GC to a randomly drawn winner via rafflecopter during the tour. 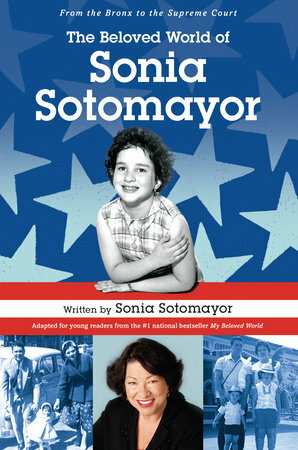 In this adaptation for middle graders based on her bestselling adult memoir, My Beloved World, Associate Justice of the Supreme Court Sonia Sotomayor’s extraordinary life inspires. Her achievement serves as a true testament to the fact that no matter the obstacles, dreams can come true. Sonia did not let the hardships of her background–which included growing up in the rough housing projects of New York City’s South Bronx, dealing with juvenile diabetes, coping with parents who argued and fought personal demons, and worrying about money–stand in her way. Always, she believed in herself. Her determination, along with guidance from generous mentors and the unwavering love of her extended Puerto Rican family, propelled her ever forward. 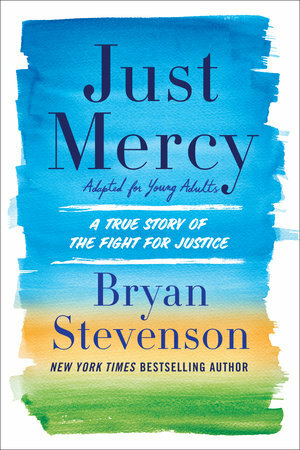 In this young adult adaptation of the acclaimed bestselling Just Mercy, Bryan Stevenson delves deep into the broken U.S. justice system, detailing from his personal experience his many challenges and efforts as a lawyer and social advocate, especially on behalf of America’s most rejected and marginalized people. 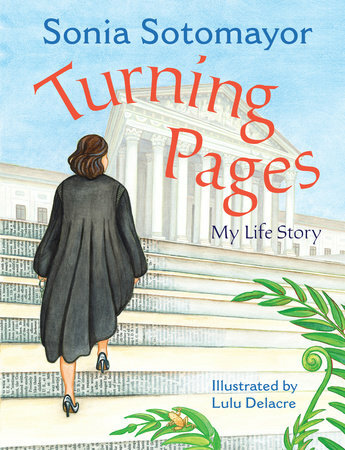 In this very personal work–proceeds of which will go to charity–Bryan Stevenson recounts many and varied stories of his work as a lawyer in the U.S. criminal justice system on behalf of those in society who have experienced some type of discrimination and/or have been wrongly accused of a crime and who deserve a powerful advocate and due justice under the law. Through the Equal Justice Initiative (EJI), an organization Stevenson founded as a young lawyer and for which he currently serves as Executive Director, this important work continues. EJI strives to end mass incarceration and excessive punishment in the United States, working to protect basic human rights for the most vulnerable people in American society. Welcome to Banned Books Week 2018. 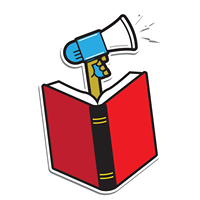 That cute logo comes directly from the Banned Books Week Facebook page. Hope they don’t mind me borrowing it for a bit. 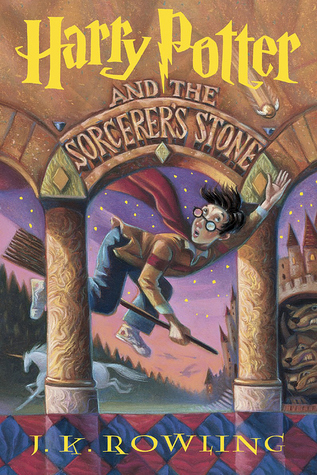 What is Banned Books Week? Pretty much, it is an annual celebration of the freedom to read. Believe it or not, in this supposedly enlightened day and age, there are still countries out there who don’t allow their people to read what they want. In America, we still have people who challenge a book because of its content. As a parent, in some tiny part of my brain, I understand where people are coming from. There are some books I would prefer my children not read; though I don’t recall ever saying, “no, you can’t read that.” Maybe I’ve just been lucky that my kids haven’t pushed that envelope or maybe I am kidding myself into thinking my influence was so good they only made book choices they knew I would approve of. 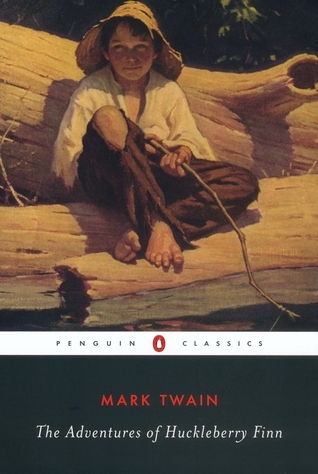 As an author, however, I can’t imagine a country built upon freedom censoring a book. If you would like to see the list of 2017 Top Ten Challenged Books you can find it here. There are definitely some controversial issues in these titles: suicide, profanity, sexual content, vulgarity, and gender identity (to name a few). 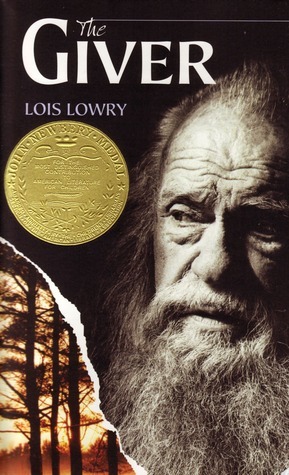 In the past, here are some banned children’s/YA books that might surprise you…or not. Follow Cavall as he embarks on a quest that will put the unbreakable bond between a dog and his person to the ultimate test. 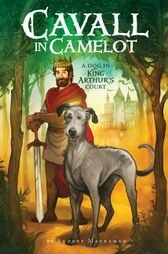 When Cavall and his older brother, Glessic, leave the comfort of their simple barn to join the lavish court of Camelot, Cavall wants nothing more than to prove he’s a good dog to the great knights and dogs of the castle—especially to King Arthur. But Gless says only the best dogs are worthy of greatness, and Cavall has never been as strong, brave, or fast as his brother. Meanwhile, malevolent forces lurk in Camelot, and Cavall must figure out how to protect his person. To make matters worse, Arthur’s mysterious nightmares are threatening to shake his grip on reality and undermine his authority as king. To fight back against the dangers of the dream world, Cavall will need help from some loyal hounds and the enchanting, sometimes frightening creatures who call themselves the fay. In this captivating debut from Audrey Mackaman, Cavall will have to prove not only that he can be a good dog for his person, but that he is capable of a greatness all his own. 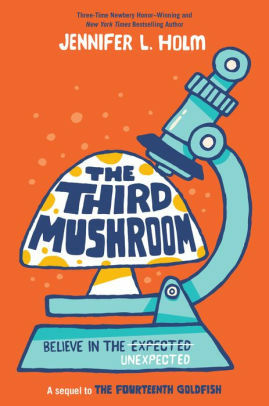 Choose-your-own-adventure and puzzle-packed mystery collide in the first book in Lauren Magaziner’s new hilarious and high-stakes middle grade series in which the reader must help Carlos and his friends put together the clues to save his mom’s detective agency. In this wildly entertaining and interactive adventure, YOU pick which suspects to interview, which questions to ask, and which clues to follow. You pick the path—you crack the case! Carlos Serrano has never solved a mystery in his life. But when Carlos’s mom gets sick with a nasty flu on the morning of an investigation that could save her failing detective agency, Carlos takes on the case. 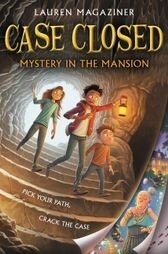 With the help of his best friend, Eliza, and her wild little brother, Frank, Carlos must uncover a mystery involving an eccentric local millionaire, anonymous death threats, and a buried treasure. But with tricky riddles, cagey suspects, hidden secrets, and dozens of impossible choices, they need your help! Can you help Carlos and his friends find the culprit and save Las Pistas Detective Agency? Or will it be case closed? 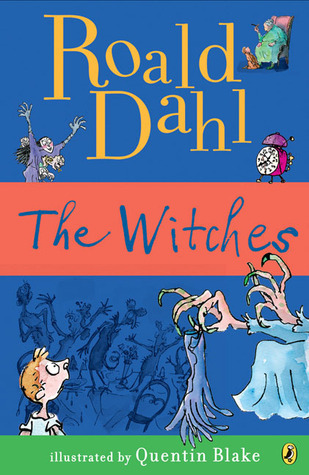 Twelve-year-old El has planned on making her first week at a new school fantastic. She won’t go by her given name, Laughter. She’ll sit in the back of the classroom where she can make new friends. She won’t even have time to think about all the fun her old friends are having without her. Everything will be great. 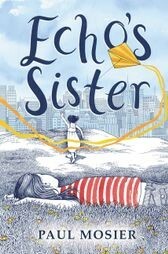 But when her dad picks her up after school and tells her that her younger sister, Echo, has a life-threatening illness, her world is suddenly turned upside down. And with her parents now pressed for time and money, El feels lost and powerless. Then she befriends Octavius, the only other kid in school who gets what she’s going through. As El begins to adjust to her new life, she soon finds that maybe a little hope and a lot of love can overcome any obstacle.